Leading Manufacturer of automatic over feed package boiler and automatic package boiler from Ahmedabad. We are involved in providing fine quality range of Automatic Over Feed Package Boiler to our most valued customers. The fuel is Automaticlly lifted and fed from the top and is burnt over specially designed fire bars. Solid fuels like Wood, Agro waste etc., can also be burnt using an ID fan additionally. These Automatic Over Feed Package Boilers have robust welded construction and designed in accordance with the international standards. Here all welding seams are 100% radio graphed to ensure high durability and longer life. It is also provided with hinged doors at front and rear at the ends to give easy access for inspection, cleaning and replacement of tubes. * Packaged shell type with an internal furnace. No external refractory furnace. Hence is compacted and requires less space and maintenance. 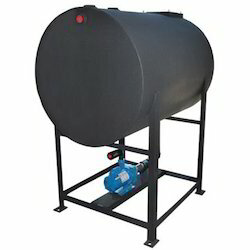 * Works automatically like an oil fired boiler – less manpower is required. * High efficiency. In a Rice Mill, Husk can be saved. * Quick steaming and no need for fire bar cleaning or ash removal from the furnace. 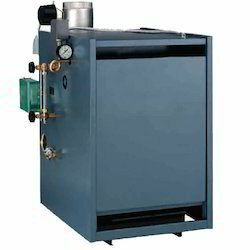 Our firm is engaged in offering Automatic Over Feed Package Boiler to respectable clients. The offered range is highly acknowledged for its durability, optimum efficiency with minimum frictional loss. Available with hinged doors at front and rear at the ends, the offered range is known for rendering easy access for inspection, cleaning and replacement of tubes.